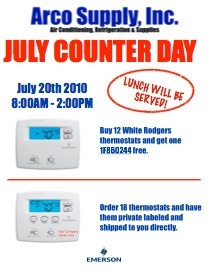 Stop by and join us for lunch and some great deals from Emerson. They will be spotlighting their great line of blue series thermostats. We will also have Jim with All County Sheet Metal showing of some great products.